Marketing professionals understand the importance of having a unique loyalty program, but some business owners still do not realize just how effective they really arehaving one can be. Loyalty programs, also called customer satisfaction programs, are developed to help promote customer relationships and increase buying frequency. Savvy merchandisers can turn to this method to not only build a stronger bond with their current customers, but also capture the attention of new clients who wear their economic hearts on their sleeve. Loyalty programs have been successfully implemented in nearly every major industry imaginable. All businesses have a list of people who have been terrific repeat customers. This is a fabulous opportunity to reward someone for doing nothing but being a great customer in the past. They don’t have to do a thing. How many friends do you think they will tell? One of the most common examples of rewarding buyers for their continued support is by offering travel incentives. Travel incentives are ranked as one of the most gratifying rewards amongst consumers that make it easy for anyone to achieve just by doing business regularly with their favorite company.because they provide not only the immediate excitement of receiving a gift, but also the lasting memory of a relaxing vacation experience. What’s In It for My Business to Reward the Customer? By usingUsing a loyalty program to reward customers is an innovative tool to increase sales, and brand awareness, as well as and to develop long-lasting relationships. This is the besta great opportunity for your business to not only say thank you, but it is also the and one of the best techniques to helpfor helping your company stand out and compete with large-scale competitors. 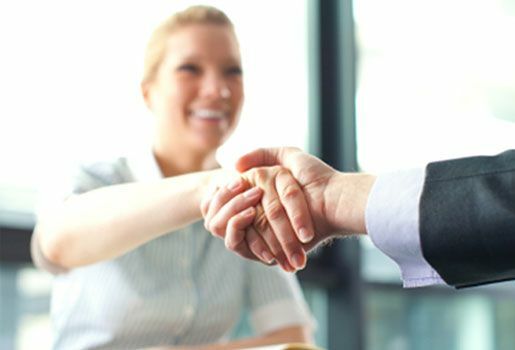 By making a unique offer of complimentary cruises, Vegas vacations or one week getaways, your business could maximize customer relationships that last a lifetime. Consumers are searching for the best products and services that give them more bang for their buck, but if your business is not trying to make a move to throw in that little extra for their support, then it may be difficult to rise above the big brand names in your industry. At Odenza, we will help our clients to not only help you increase theiyour financial success, but we will also help give you the tools to build long-lasting customer satisfaction. From start to finish, we will take care of the entire program. we are with you every step of the way. Why recreate the wheel with expensive incentive programs when we can give you everything you need to increase sales? When you offer consumers the best a loyalty program with value, they are much more likely to continue doing business with your company, and share the ease of working with you their positive experience to with all of their closest colleagues, friends and family. Increased sales, brand awareness, and customer loyalty – this is what House to Homes was able to achieve with their unique travel promotion.